Fairs. 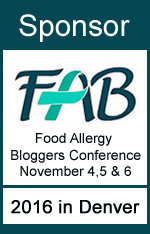 Most of the food allergy fairs, expos, and conferences are on the coasts. I understand that, they are huge population centers and it’s a numbers thing. A few more pop up around the country, but here in the Rocky Mountain Region there isn’t a whole lot. 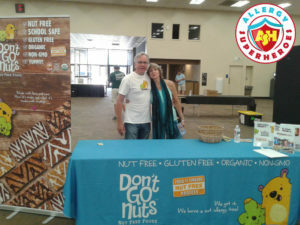 A few years back we discovered a local gluten-free fair put on by the Denver Celiacs called the “Incredible Edible Gluten-Free Food Fair.” It’s more about celiac disease and gluten-free items, but there’s some cross over with food allergies and we do have some empowering products that cover wheat allergies and gluten-free needs. 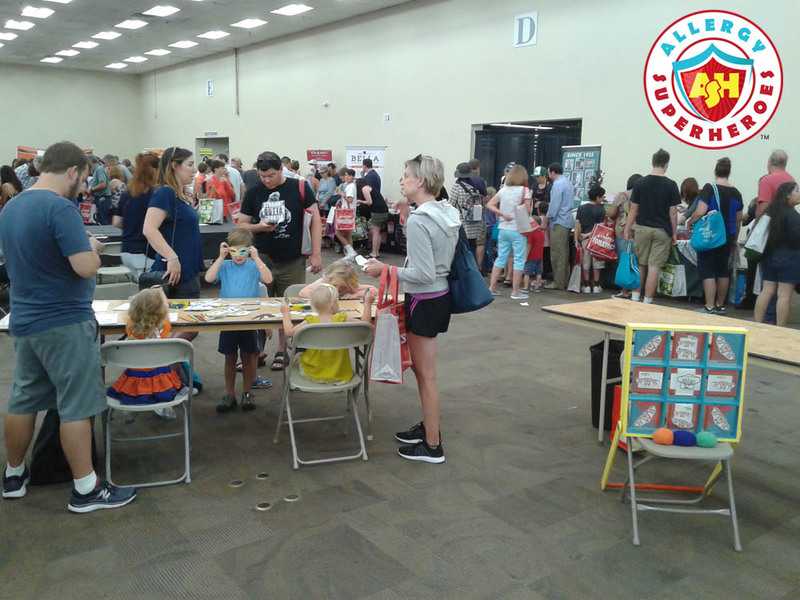 We bought a booth space 3 years ago and we were hooked! 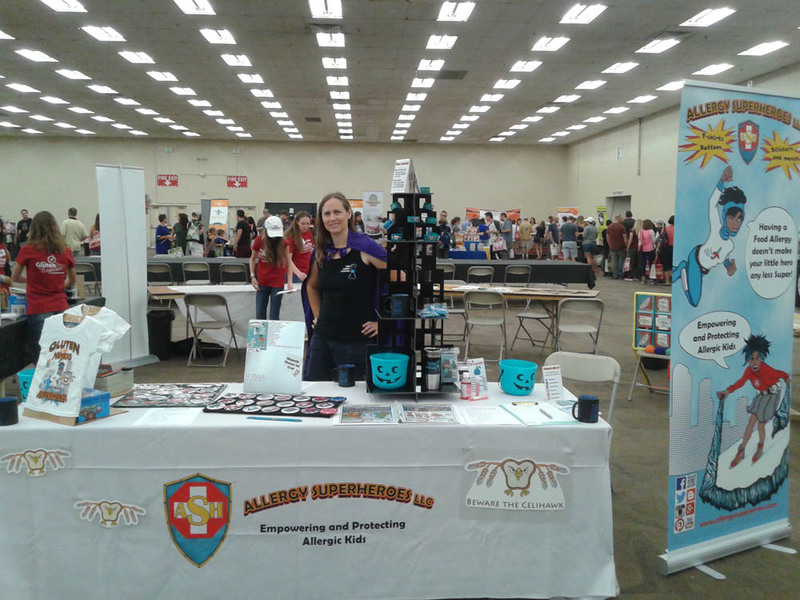 It was our first fair and it was great to interact with so many people and hear how much they love the empowering aspect of our business. The following year they had a sponsorship opportunity for their kid zone which would include kid oriented activities. We thought this was a perfect fit for us and we signed up. The kids had a great time with our coloring sheets, superhero themed crafts, and hourly story time with celiac themed books. 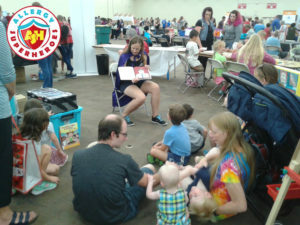 Our third year we sponsored the kid zone area again with crafts and stories. It was more centrally located this time and full of kids having fun. 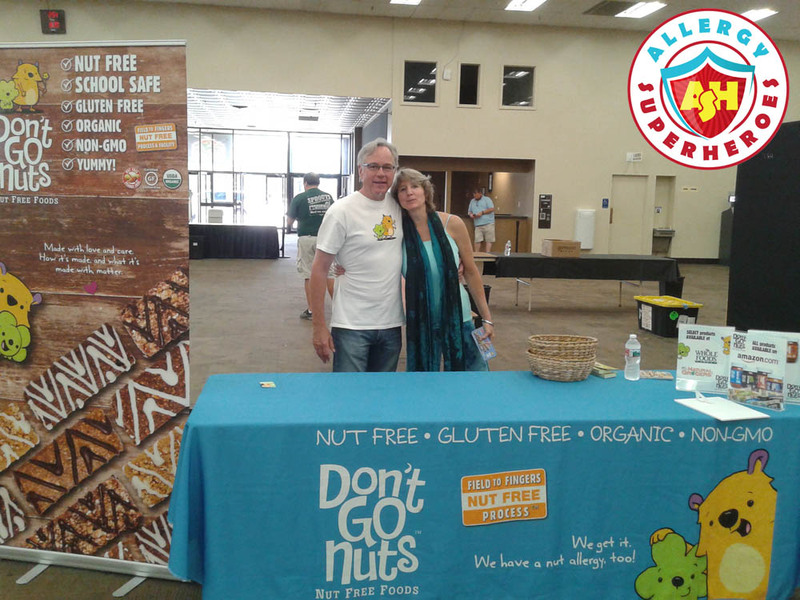 We loved meeting so many parents who understand the dietary restrictions we have to deal with on a daily basis. 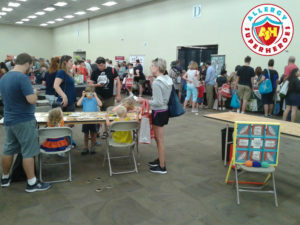 And we loved seeing the kids get excited for our superhero themed products and our different comic book characters. 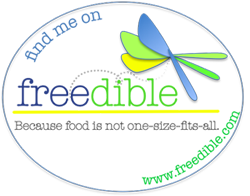 We were looking forward to the next IEGFFF in 2018, but were saddened to learn that they canceled the event this year. 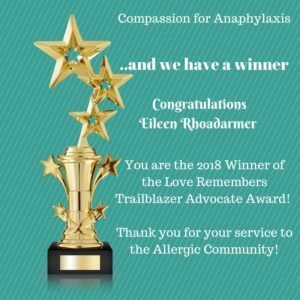 The Gluten Free Allergy Friendly Expo decided to come to Denver this year (which we’re really excited about), so it seems the Denver Celiacs group decided to help with that expo instead of putting on their own this year. It was disheartening, but it will always hold a special place for us since it was our first event! We can’t say enough good things about Don’t Go Nuts. We always look forward to meeting them at whatever event they go to. Our whole family loves their bars (and peanut free spreads) and it’s a great team behind the brand. You should try them out! 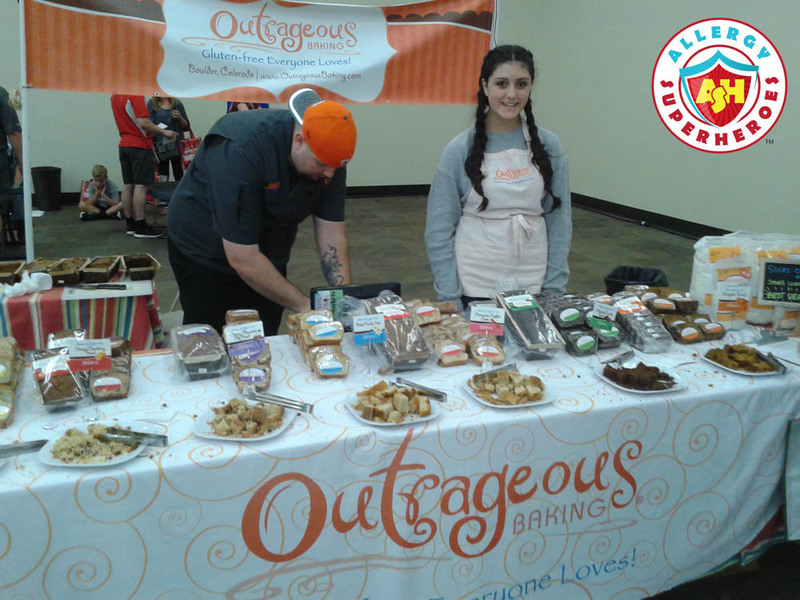 The Outrageous Baking company was next to us at our first booth at the IEGFFF, and we always seek them out each year. They have some outrageously good baked products! I LOVE their Cherry Chocolate Chip bread! This was the first time we got to try anything from Bfree Foods. We thought their wraps were really good! 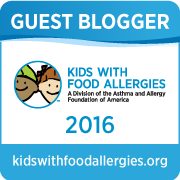 kinnikinnick foods is a gluten-free brand that’s popped up on our radar more recently. 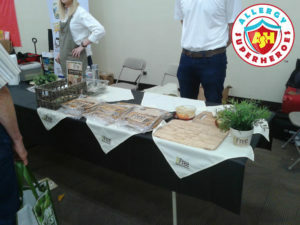 We were lucky enough to take home a nice sample of their products. 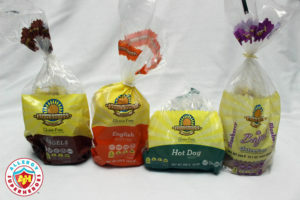 I love how thick their products are (like their English muffins) and thought they were good. I’m looking forward to trying more, like their donuts! 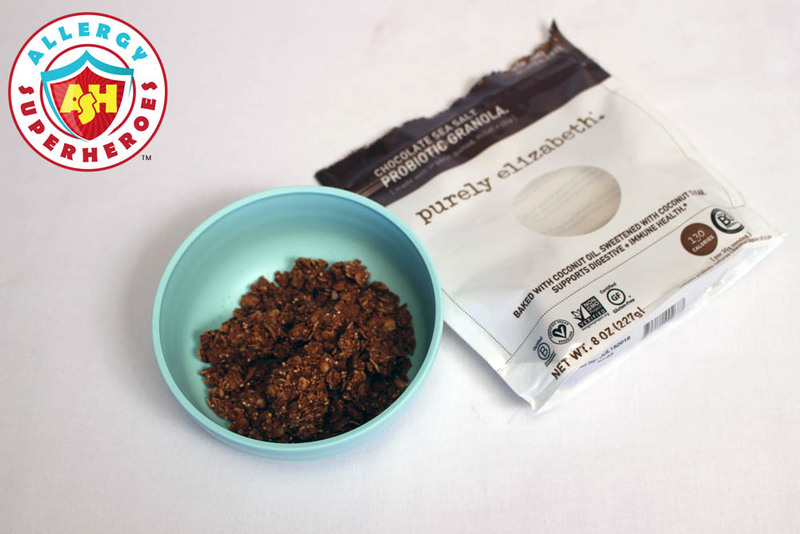 This bowl of chocolate granola by purely elizabeth was the best I’ve ever had. Since I’m the only one in my family that is really fond of coconut, I got the whole bag! Purely delicious! We will miss this great event, but we’re looking forward to the GF & AF Expo in April and connecting with more great food allergy friendly and gluten-free brands!